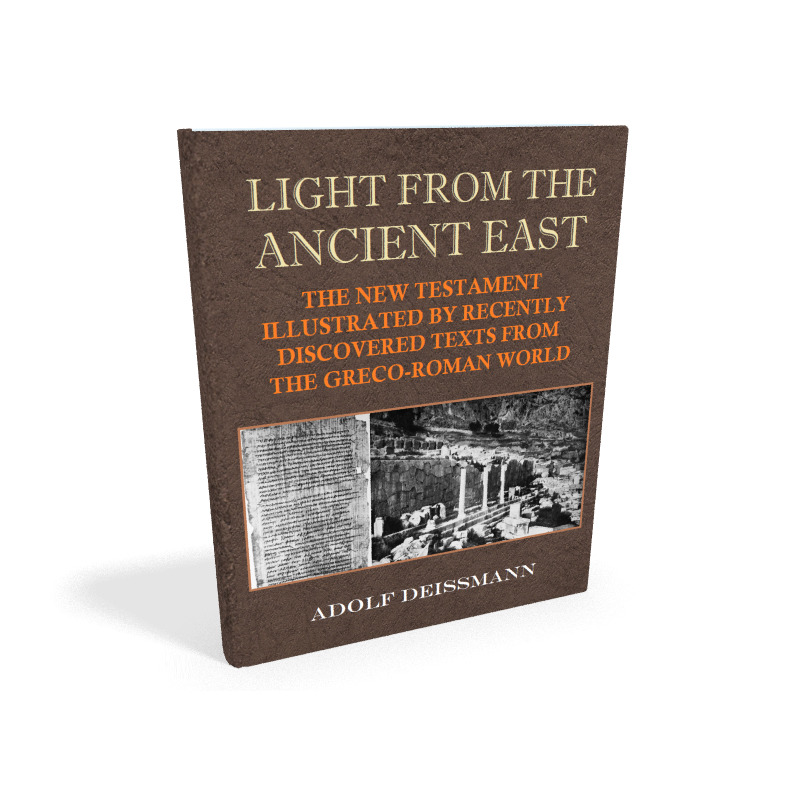 Adolf Deissmann's Licht vom Osten ("Light from the East"), published in 1908, was a landmark work in the field of New Testament studies. 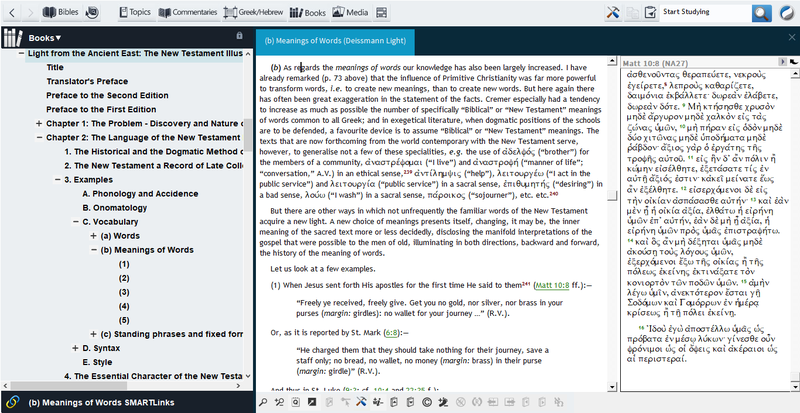 Adolf Deissmann's Licht vom Osten ("Light from the East"), published in 1908, was a landmark work in the field of New Testament studies. 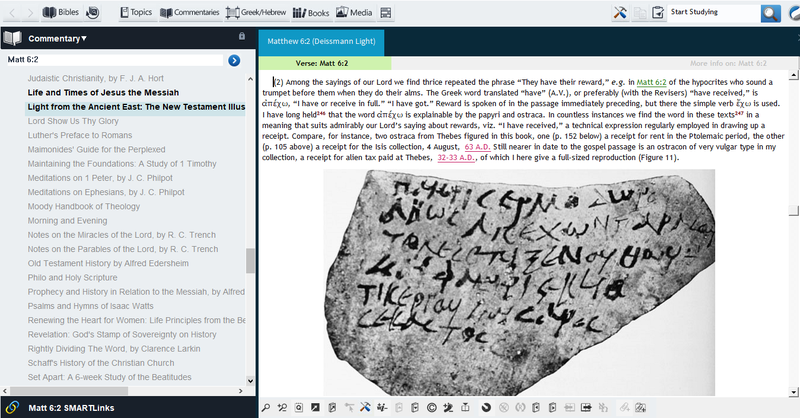 The second half of the 19th century was an exciting time for Biblical scholars, as an intense period of archeology throughout the territory of the ancient Near East and Greco-Roman world yielded many valuable discoveries, especially as related to the New Testament—not only early copies (manuscripts) of the NT, but scores of other papyri documents and inscriptions, which shed new light on the study of the Scriptures. Thus the title of Deissmann's book, which was one of the first to document some of these discoveries to a broad audience of scholars and students around the world. 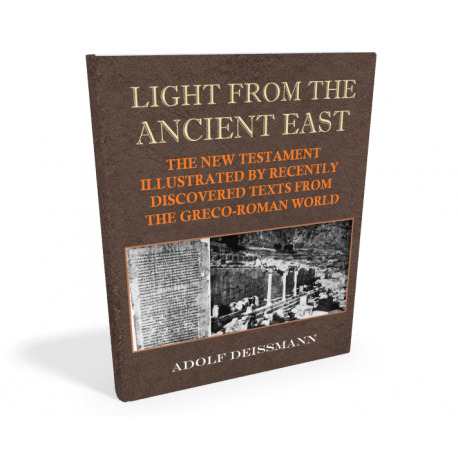 The initial English-language version (1910, from the second German edition), has the full title Light from the Ancient East: The New Testament Illustrated by Recently Discovered Texts of the Graeco-Roman World. 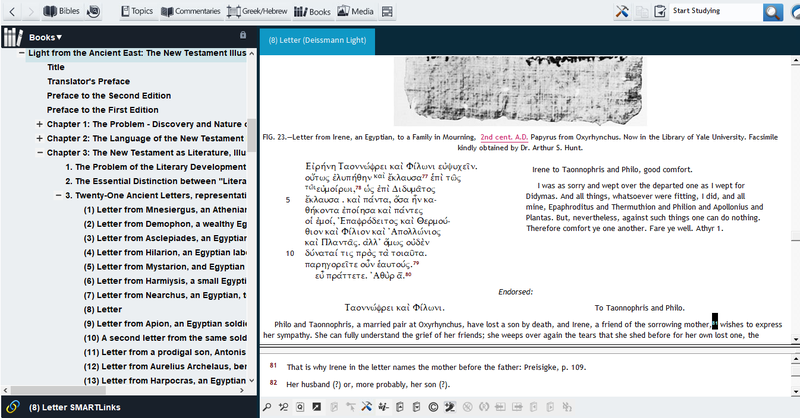 It is indeed a richly illustrated book, for the period, including nearly 70 full-page image plates, but also—and even more valuable for readers today—a transcription and translation for dozens of texts, especially those portions which are most relevant to a study of the New Testament. 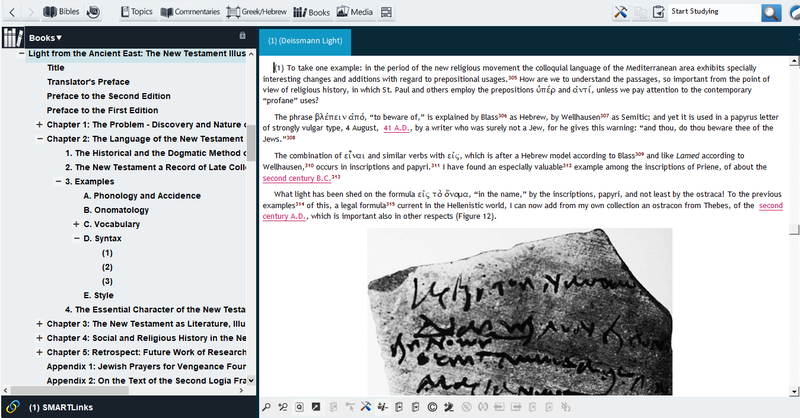 These selected texts address or demonstrate three main aspects of the New Testament—its language, the NT as literature, and its socio-cultural and religious background (chapters 2, 3, and 4, respectively). This is truly a classic work from the early 20th century which remains most useful as a reference work today, and deserves a place in the library of every scholar and study of the New Testament. Gustav Adolf Deissmann (1866-1937) was a distinguished German scholar and theologian, who served as professor of theology both in Heidelberg (1897-1908) and Berlin (1908-35). Best known today for his publications on the New Testament, and, in particular, the (Koine) Greek of the NT, written prior to 1914, he gained greater fame for his role the ecumenical and international peace movements in the period during and after the first World War, being twice nominated for the Nobel Peace Prize. He was also a devoted advocate of archeological exploration, and played a part in re-establishing excavation of the site of Ephesus. 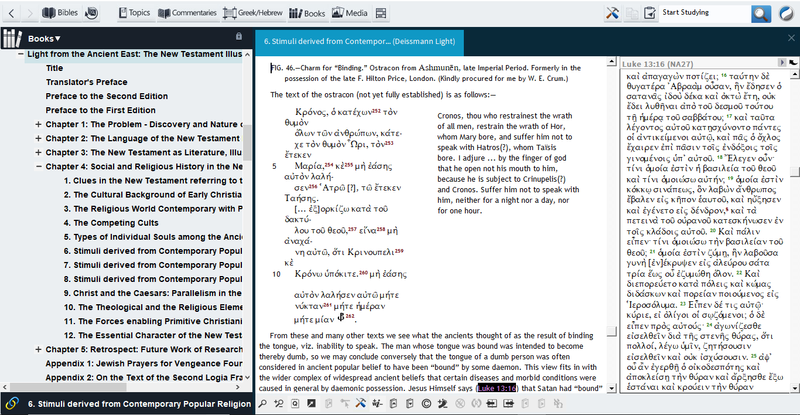 Biblesoft's electronic edition of this classic reference work provides added value by integrating every reference to the Church Fathers, Josephus, Philo, and the Pseudepigrapha, so that it links to the corresponding versions of that material available in the various OneTouch, PC Study Bible and Mac Study Bible libraries. Links to the Apostolic Fathers and Josephus specifically bring up the Greek text, where it is available.